Okay, so my proposition was a complete mehhh.. But why did this happen? Because, I assumed her requirements and behavior. Well this was a silly discussion that really did not matter much. But, the situation will not be tantamount to this when we are dealing with a product. If we make assumptions about users, their capabilities and requirements, the repercussions may be huge.. Because there is ample amount of money, effort and time involved in building an app or website. The best validation is to watch your users use the product. Performing this exercise early in the design process has helped my team and will definitely help yours, to understand what excites the user and what does not. Why is it important to record what your user does? The point is, you cannot ask users what they want. My team and I recently conducted a study. The participants told us that they used a feature on a “regular” basis. But when I looked at the analytics, I witnessed a different story: they only used the feature maybe every 3–4 months. Therefore, you have to watch them use a product and notice what they use and what they do not. Session replay is the ability to replay an user’s journey on a website or within an application. Understand how users move through and interact with your design by viewing playbacks of mobile or desktop user sessions. Get to know your users behave on your designs. Users usually have a pattern in which they interact with an interface. Guessing this pattern is a big mistake. Lets say, research shows that on an e-commerce app users scrolls 3–4 times before he comes to the top of the page to checkout their favorite options. But, no one can predict if users will interact with your app similarly. There is no one-solution-fits-all with users. So the only option is to see them use it. Problem diagnostics. Ensuring optimal website design and functionality is critical. Playback highlights problem areas and usability issues that are frustrating customers and impending conversion. Are there particular fields that are causing drop-off? Which fields take longer to complete? Is field validation correct for the data customers are entering? Session Replays on CanvasFlip captures interactions of users on the prototype such as tap, double tap, scroll, slide etc. Have you ever tried to conduct a design meeting using some type of screen-share? While useful, it often feels like a less than perfect solution, especially when it comes to group collaboration. 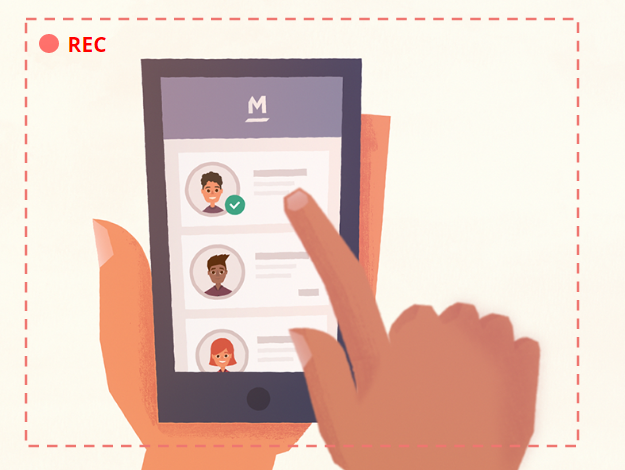 Or even worse, when you try to refer to a particular user session over a phone call, it’s really difficult for the one on the other side of the phone to jump to what you are referring to.. It’s for that reason we at CanvasFlip have introduced the feature of “Sharing the user video”. So while on a discussion, just grab the link to the particular user session and send it across to your teammates, product manager or clients. So there’s no more guessing about which user session someone else is talking about. The results are in and discussions on the user sessions are done! You’re now in a stronger position than before as you can confidently state what does and does not work in the design. The weight of evidence helps you examine why particular things happened. From these observations, you can develop theories about the causes of frustrations and problems. After you generate these theories, team members or you yourself can use expertise to determine how to fix or optimise the design problems. If the experience was quite similar to your expectation from the design, the next steps are up to you. You may want to roll this new version out to people as soon as possible. Or, if you did a small test to begin with, you may want to do another test where even more people are shown the design. Getting input from users is great; but knowing their requirements by observing them use your design is all the more important. Whatever your team might call it — session replays, user videos, session videos — the most effective input for informed design decisions is data about the behavior and performance of users using a design to reach their own goals. 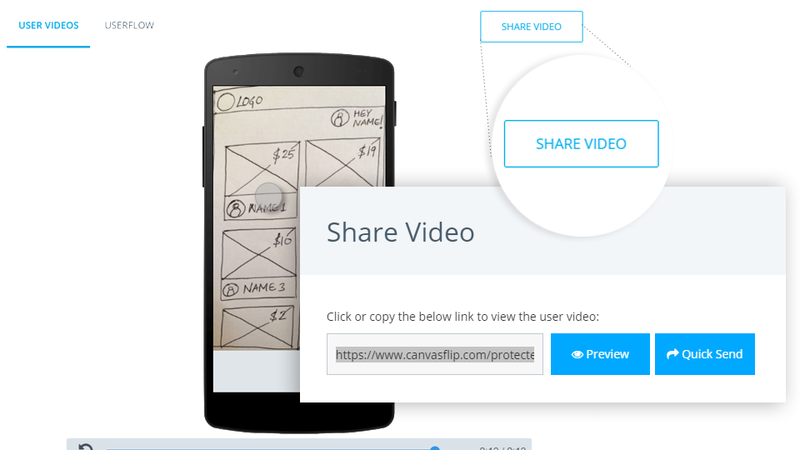 If you’re interested in observing your users using your designs and sharing them with your teammates for a discussion, get started with your project on CanvasFlip! Need help with setting up your project? I’m always up for a chat on monika@canvasflip.com! Collaboration tools for designers, copy writers, Front-end developers & more - http://canvasflip.com - design beautiful products 10x faster.